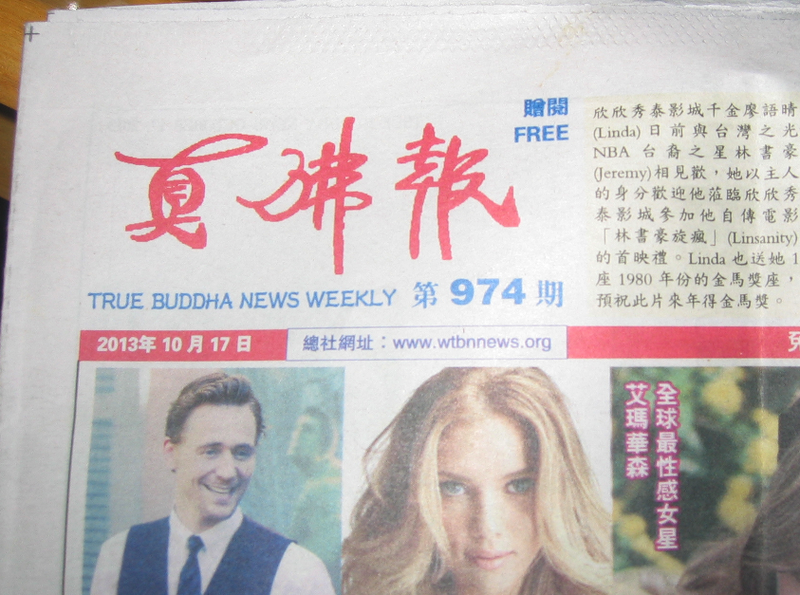 My mom is visiting me to see her grandkids, and recently picked up a free newspaper in NYC Chinatown. 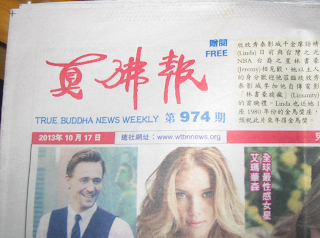 To her surprise, she spotted my old research group, the Personal Robots Group, in the "True Buddha News Weekly." So excited to see people she recognized, such as my colleague Kenton and the sociable robot Nexi.